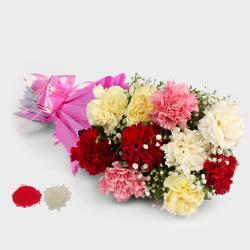 Product Consists : Glass Vase arrangement of 12 Mix Seasonal Flowers along with Free Roli Chawal. 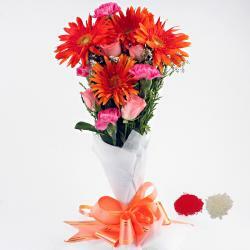 Spectacular vase containing ravishing flowers is all set to take away your dear ones heart. The Vase has Mix Gerberas, Roses and Carnations. 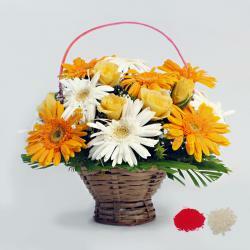 Flowers serve the bets as gifts on any occasion or festival. Along with the flower vase arrangement, we also have put together Roli Chawal and a chocolate cake. 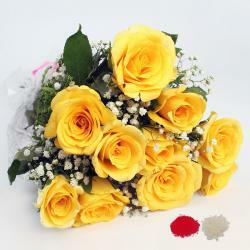 So go ahead and show him how much you care by ordering this wonderful gift. 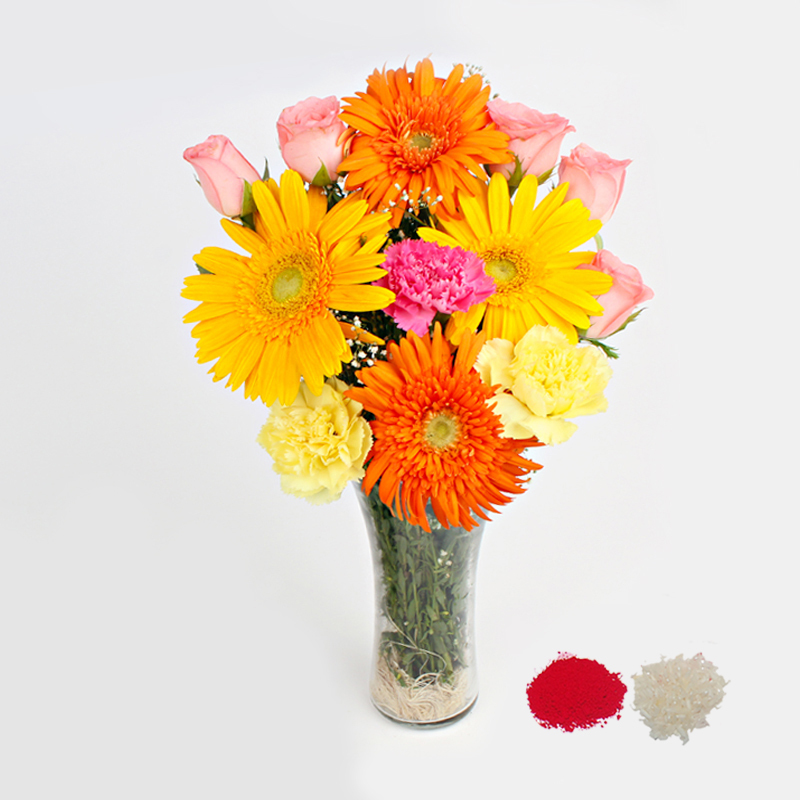 Product Consists : Glass Vase arrangement of 12 Mix Seasonal Flowers along with Free Roli Chawal.